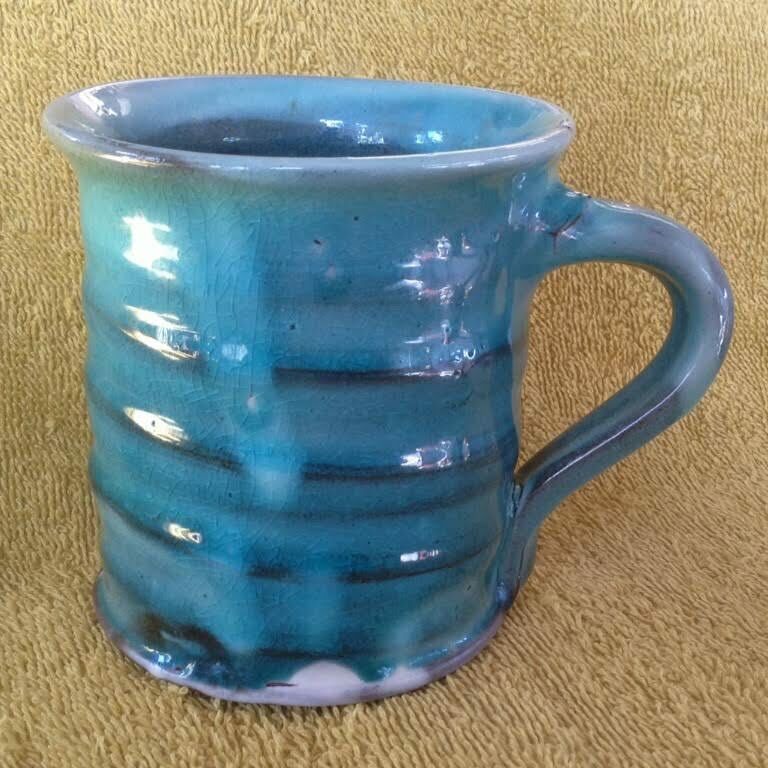 Three cups or mugs by Gary Smith of Mangawhai Pottery. Having just spent up at the Pipi Gallery (one Barbara Hockenhull, one Kim Morgan) I felt a bit bad when I discovered Mangawhai Pottery just around the corner at 7 Insley St. The studio and store was manned by a dog, no Gazza to be seen (other than a boat which carries that name). 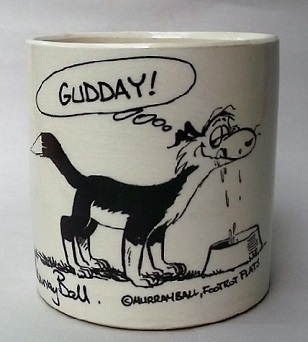 Looking at the shelves I discovered I already had one of Gary's mugs. When I deciphered his signature underneath the work on show I realised that I had another two, bought from Hospice just last week. The green cylindrical mug is current work. In an online article Gary explains that the green and turquoise glaze of his earthenware pottery was inspired by a 2011 visit to Spain. 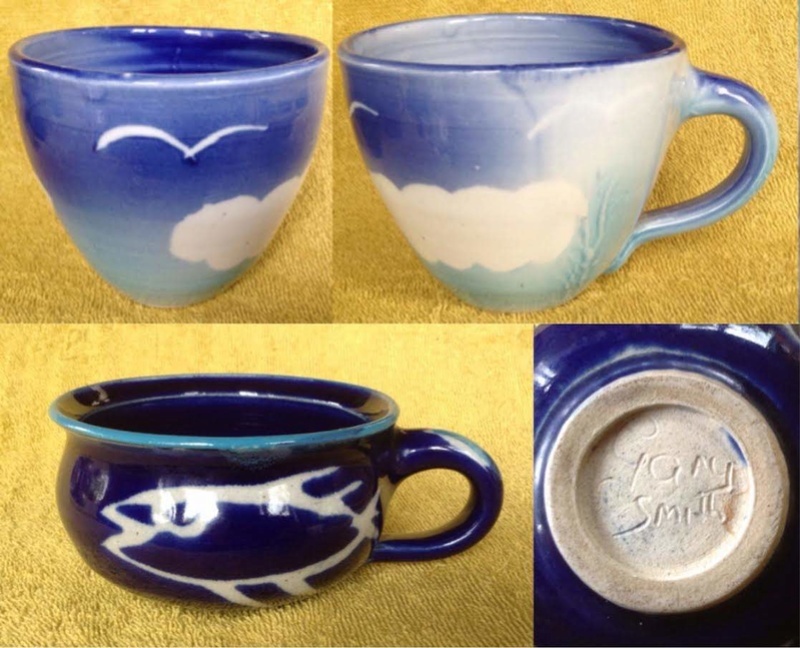 This recent pottery contrasts with his earlier stoneware such as the blue mug whose fish motif also appears on the studio's sign. I was unable to photograph that but it can be seen on Gary's website. I had thought that the two cups would turn out to be local work so I'm pleased to be proven correct.